Attention all gamers! Here's a giveaway signed, sealed, and delivered specially for you. 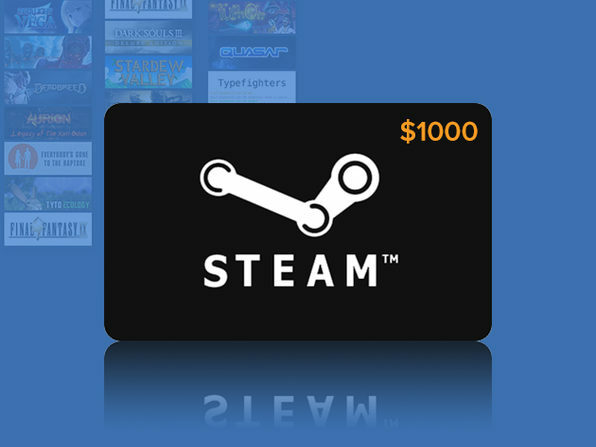 Enter now to win $1000 cash to spend on Steam. Choose from over 3,500 games in every genre, from Action to Indie, and finally try out all the games you've had your eye on. It's simple--just enter for your chance to win! Maximum ARV of the prize – approximately up to $1000.00 (the price of one (1) $1000 Steam gift card). If winner is unable to receive prize then prize will be forfeited, and an alternate winner may be selected in accordance with these Official Rules from among the remaining eligible entries for that prize. Prizes may not be transferred or assigned except by Sponsor.